Each of the control's elements can be accessed and customized. Once you access the desired elements, you can tweak their properties in order to modify them. 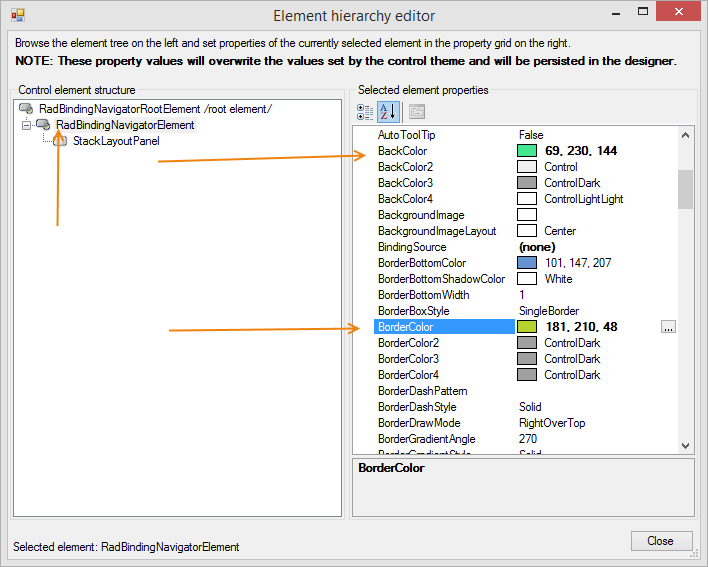 You can access the control element by opening the Element Hierarchy Editor from the controls smart tag. This allows you to select elements and change their properties. The next image shows how you can change the BackColor and the BorderColor. Figure 1: Change the BackColor and the BorderColor. The following snippet shows how you can access and change the properties of navigator buttons. The next button background is changed.